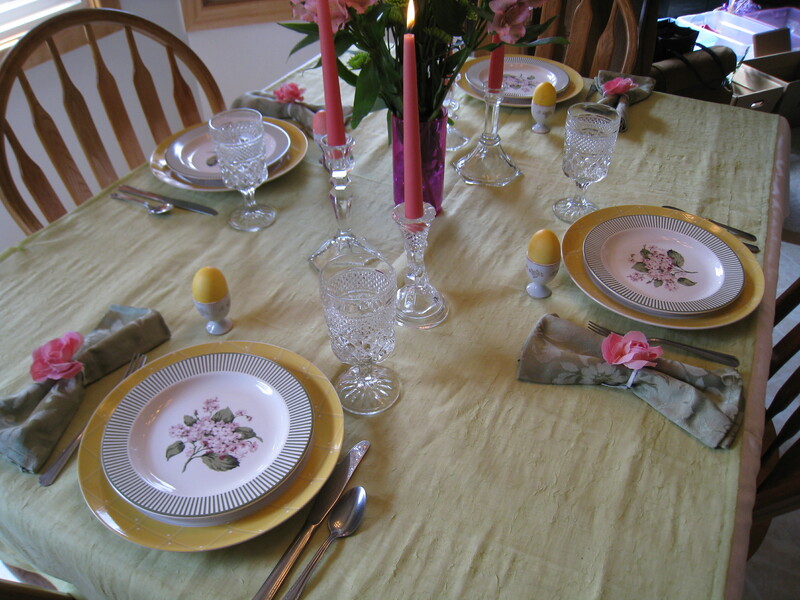 Setting a spring time table for your Easter breakfast or dinner should become part of your annual tradition. 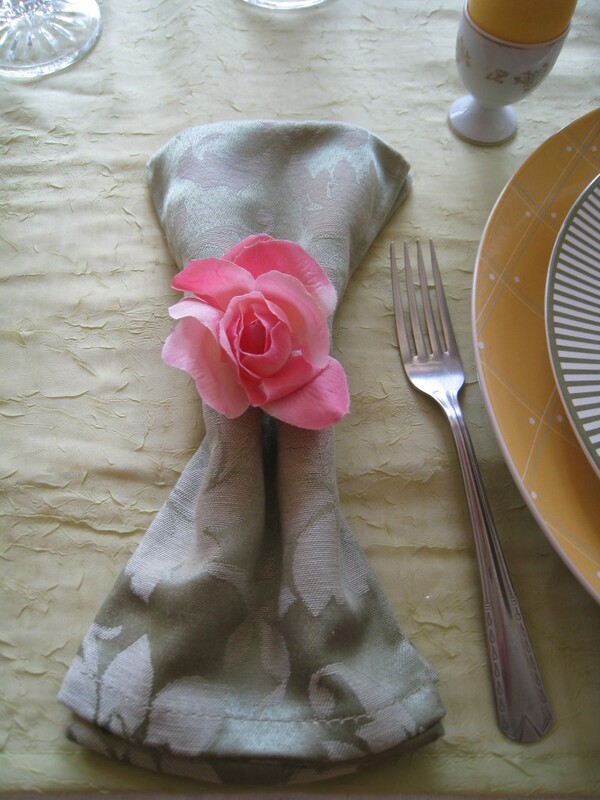 Remember your dishes or tablesetting don’t have to match the decor of your dining room. 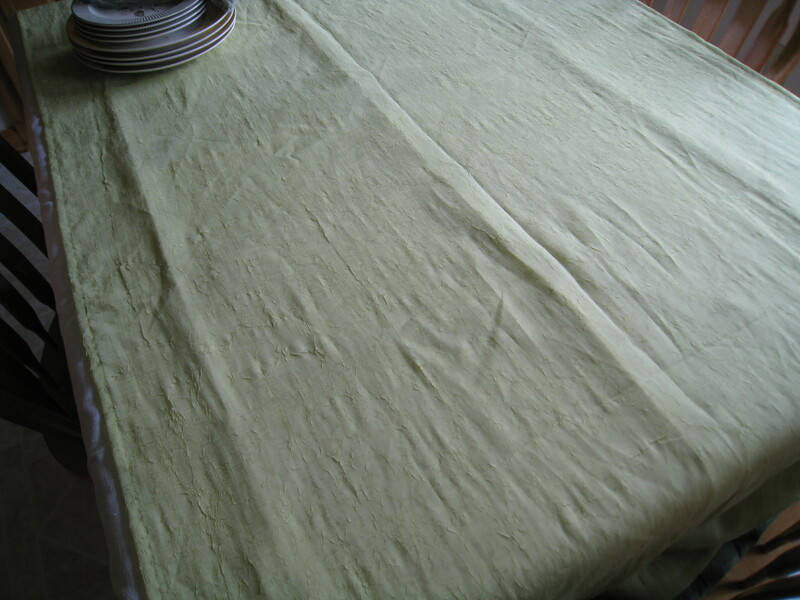 I started with a sage green sheer curtain over a basic white cloth. Yes, a curtain panel. 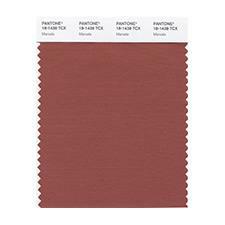 If you can’t find a tablecloth that goes with your color scheme, get creative. 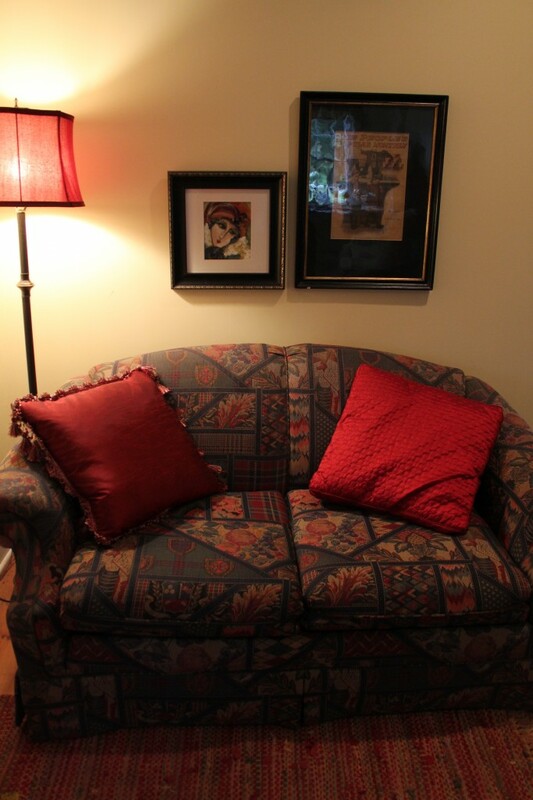 Most drapery panels are big enough to fit many dining room tables or you can cut it to fit. If you don’t sew, finish the edges with a fusible hem tape and an iron. 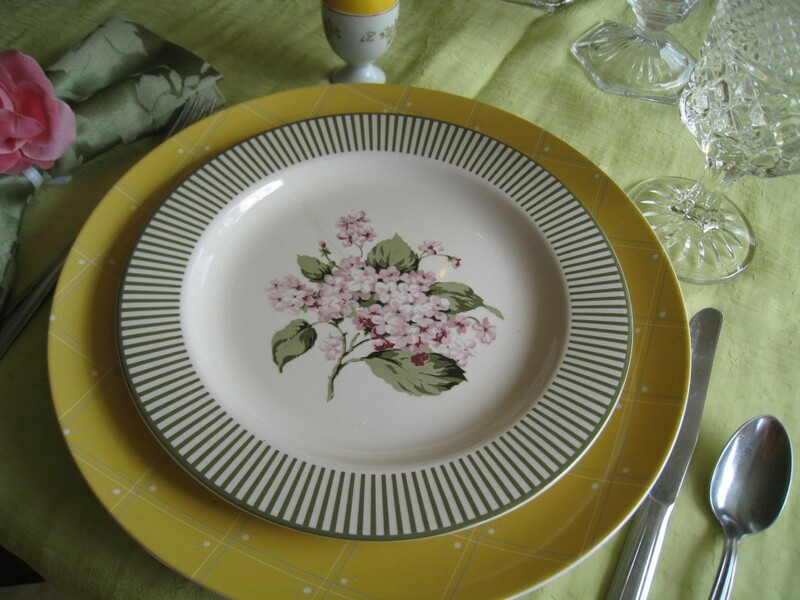 What could say spring time better than this charming dinner plate with the yellow border? 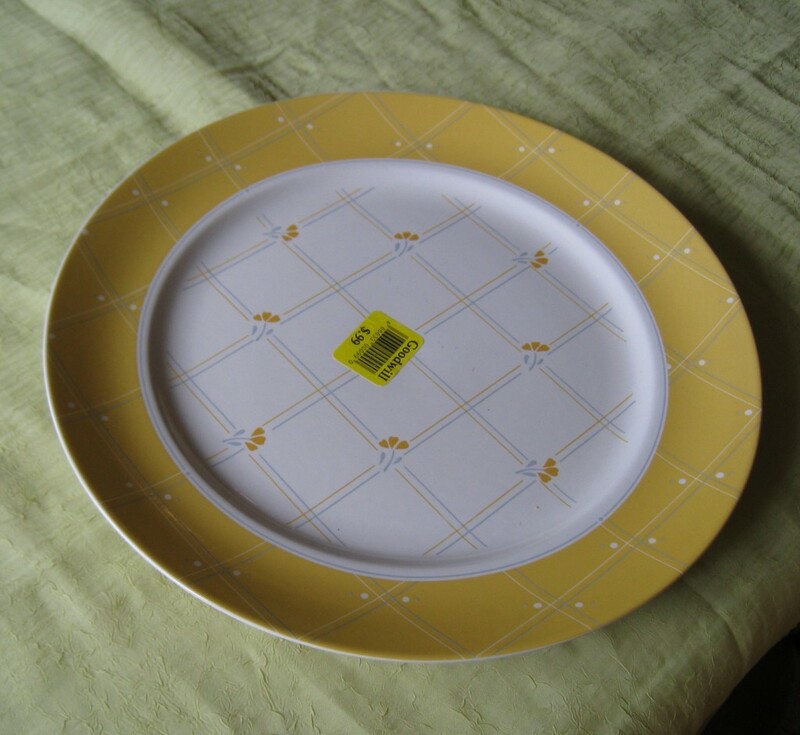 The pale blue grid lines instantly change to green with the addition of the stripe salad plate! Green damask napkins are softly folded and tied with a bit of raffia. I added a pink silk rose for an additional burst of color. 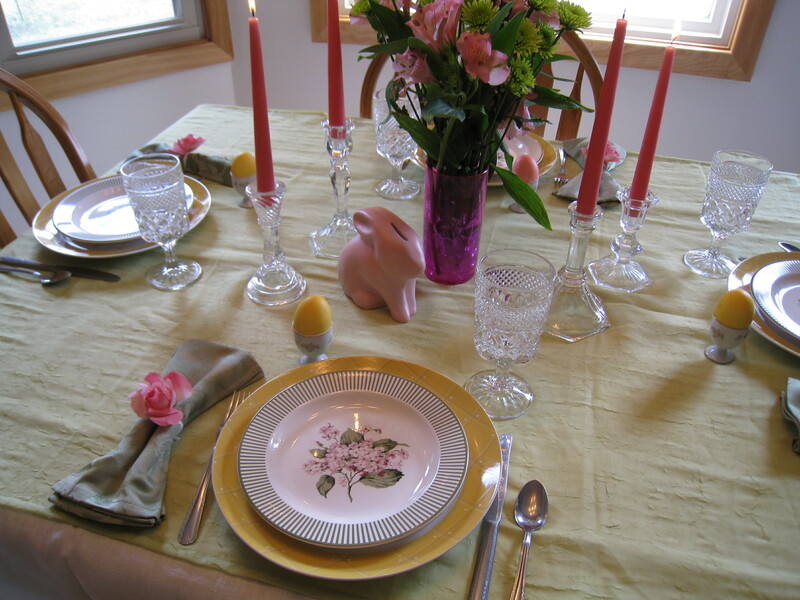 A pink and green floral arrangement makes the setting more festive. 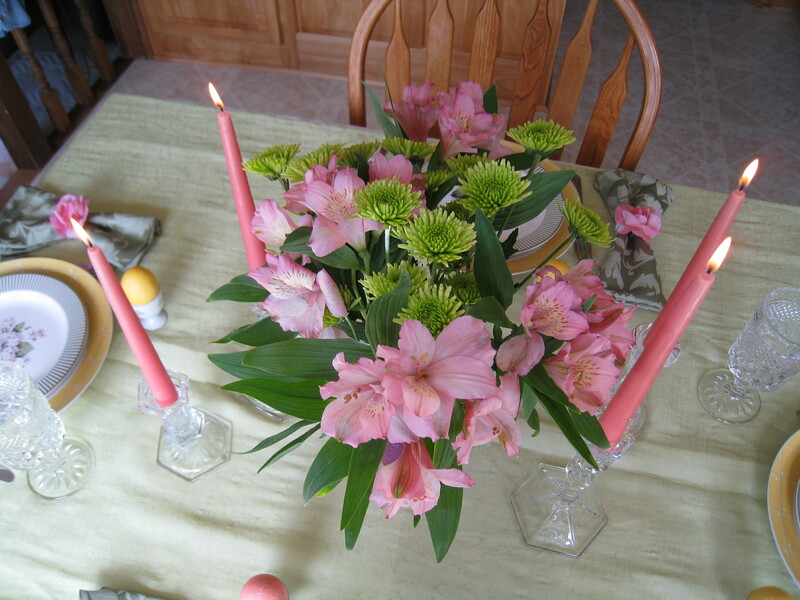 Fresh flowers add life to a table and candle light is appropriate for daytime or evening meals. Always be on the look out for pretty cut glass goblets that can serve water, wine or even milk. 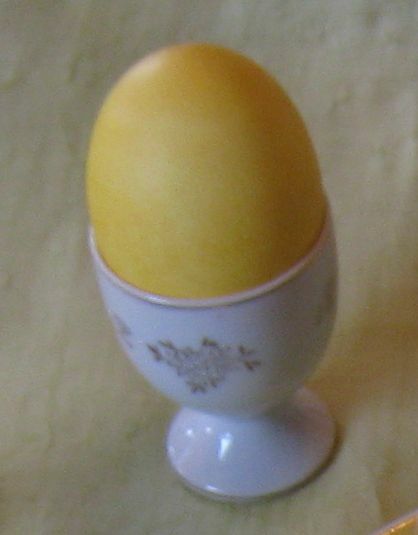 Offer each guest a decorated egg in their own personal egg cup. 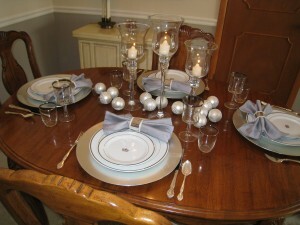 Mixing and matching plates, glassware and linens gives you so many more options when setting your table! Get creative. Virtually everything on this table came from Goodwill! Amazing!